DENVER, January 30, 2019	(Newswire.com) - Kelly Hyman is happy to share she made her debut appearance on Fox 5 News discussing YouTube's new video guidelines and bans. The content included in this ban are videos that may be perceived as dangerous or involve serious bodily injury, including viral videos challenges, such as the Tide Pod Challenge or the Bird Box Challenge, in order to keep the community safe. However, the company has received some push back regarding these new guidelines, including complaints of potential first amendment infringements. Kelly was able to share her expertise and knowledge on the importance of keeping safety a number one priority, and the potential for other big companies to follow suit. Kelly Hyman also appeared on the Ethan Bearman show on January 21st, 2019 discussing the current state of the country, the government shutdown which has now become the longest shutdown in history, the suffering being inflicted on the federal workers who have been furloughed, and where we go from here. If you missed the live show, you can catch it now on KGO 810. This is one of the many speaking engagements Kelly has been invited to this month alone. Most recently, Kelly Hyman appeared on the "Jiggy Jaguar" radio show, based out of Kansas. She then made her first appearance on "Issues and Ideas" with Chris DeBellow and "The Whistleblower" with Mychal Wilson. About Kelly Hyman: Kelly Hyman is an attorney, legal analyst, and speaker. After having recently joined the team at Franklin D. Azar & Associates, Kelly is now focusing her practice specifically on class action lawsuits and mass tort litigation. Improving the lives of the people in her community is the reason she entered the law industry, to begin with, so it’s only fitting that she has become the people's advocate for mass torts. 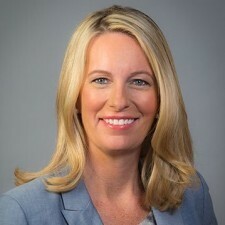 Kelly Hyman is a member of the American Association for Justice and is a member of the Florida Bar, the Colorado bar, the Washington D.C. Bar, the Colorado Bar Association, the Colorado Trial Lawyers Association, and the Colorado chapter of the Federal Bar Association. Kelly Hyman has become an avid speaker in her industry, attending numerous events and conferences around the country to discuss mass tort litigation, class action suits, water contamination, and more. Previously, Kelly Hyman worked as a successful actress. She was able to use her acting skills developed over the years to advance her career in law on an entirely new stage: the courtroom. Kelly still has a fierce love and passion for the entertainment industry today. Kelly Hyman is married to Judge Paul Hyman, Jr.
Kelly Hyman, lawyer, is currently working in Denver, Colorado at Franklin D. Azar & Associates. Kelly Hyman has been identified as one of the Top 25 Class Action Trial Lawyers in the state of Colorado. Kelly Hyman, an attorney and speaker from Denver, CO, has earned the AV Preeminent® rating from Martindale-Hubbell®.